The Oak 3 axis CNC machine is an open source Openbuilds OX CNC using a smoothieboard as it’s control system. 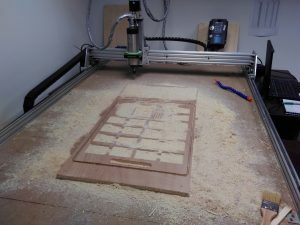 Materials: The OAK CNC is suitable for cutting wood and plastic. You cannot cut aluminium on this machine. Toolchain: We have a downloadable post-processor for Fusion 360 specifically to generate G-Code for this machine.